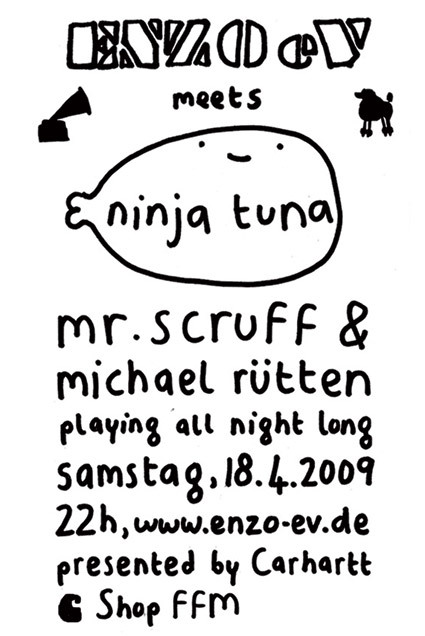 Thats why they invited legendary Mr. Scruff to play a funky set in Frankfurts cute Enzo Club. The guy from Manchester, who landed some hits via Ninja Tune Records, is famous for mixing Breakbeat, Hip Hop, House, Soul and Jazz into one big rhythm universe. This night he will be backed by Michael Rütten, one of Germanys most famous keepers of the Jazz-Grail. A soulful combination that guarantees timeless music for an ageless dancefloor.